JOHANNESBURG, Jan 12 2013 (IPS) - As the five members of the BRICS group of emerging economies – Brazil, Russia, India, China and South Africa – tighten ranks and seek to expand their global influence, the inevitable trade spats have begun. 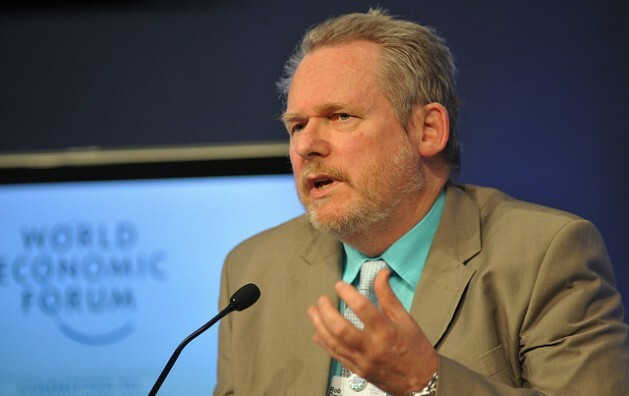 A decision last month by South African Trade and Industry Minister Rob Davies to pursue a general tariff increase on chicken imports in response to concerns that Brazil is “dumping” the product could also hit Argentina, a leading trade expert here has warned. Duane Newman, director of the Johannesburg-based Cova Advisory, explained that Argentina and Brazil, both of which export significant quantities of chicken to South Africa, are the main countries without free trade agreements with Pretoria to protect them from the planned tariff hike. “There could be some unintended consequences from Minister Davies’ decision not to target just Brazil with anti-dumping duties, but to raise the tariffs,” explained Newman. An investigation of the chicken trade between the two countries from 2008 to 2010, conducted by the International Trade Administration Commission (ITAC), confirmed allegations that Brazil was dumping whole chickens and boneless cuts of chicken on the South African market. The ITAC’s findings made a strong case for Pretoria to slap ‘anti-dumping’ duties on the South American nation. According to the ITAC’s report, anti-dumping duties can be imposed when there is a price difference between sales in a producer’s own market and prices charged on exports, when there is material injury to producers in the importing country and when there is a causal link between the imports and the damage. The report found that with regard to whole chickens, price undercutting by Brazil caused material injury to South African producers, a loss of market share and a loss of potential growth. Similarly for boneless chicken cuts, the report found evidence of price undercutting, suppression of South African producers’ ability to increase their prices, and a drop in sales volume, output, market share and growth. The investigtion found that between 2008 and 2010 whole chickens from Brazil accounted for 36 percent to 44 percent of South African imports, while boneless cuts took between 94 percent and 97 percent of the South African import market. “Thus the industry received no relief against the unfair trade from Brazil for at least five years – although ITAC found there had been dumping and material injury,” he added. In January 2012, South Africa slapped provisional payments of between six and 62 percent on chicken imports from Brazil but failed to take the next step of imposing targeted anti-dumping duties on Brazil, shifting instead to a general imposition of higher tariffs on all chicken imports. He said the countries that would be caught by the tariff increases include Brazil, Argentina and some Asian nations. There are existing anti-dumping duties against chicken imports from the United States into South Africa. Some experts believe that Davies’ decision came in response to Brazil’s June 2012 complaint to the World Trade Organisation (WTO) about the provisional payments imposed by South Africa. Q&A: Will the BRICS Bury IBSA? Had Davies opted to convert those provisional payments into anti-dumping duties, experts say, Brazil would have pursued its challenge through the WTO. A more likley explanation, he said, is that Davies’ decision to spare Brazil from individual anti-dumping duties – announced in a letter to the ITAC on Dec. 21 – was a strategic one, in keeping with the two countries’ joint membership in BRICS. 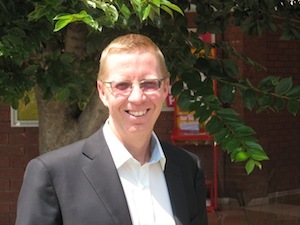 According to Dubbelman, Davies justified his actions on the basis of increased chicken imports from several countries, claiming that South African producers require a comprehensive response to deal with the intensified competition. But South Africa’s shadow Trade and Industry Minister Wilmot James told the Business Day newspaper of Johannesburg that Minister Davies’ chosen strategy will not do enough to support South African chicken farmers. “Instead of fighting the Brazilians for dumping chicken in our local and highly competitive market, Mr. Davies chose the soft and blunt option of hiding behind general tariffs without providing compelling factual reasons for his actions,” according to James. Dubbelman warned that the real challenges facing South African poultry producers will remain unless some action can be taken against the EU. He predicted that Davies will not impose as high a duty as the 82 percent that is currently allowed under international trade rules. While some options cannot be pursued because of the trade agreement between Brussels and Pretoria, he added, there are provisions for so-called safeguard measures to be imposed on chicken imports from Europe, and he urged the minister to explore this possibility.